On my Windows 10 64-bit tablet, it complained about VCRUNTIME140.dll and MSVCP140.dll and refused to run. Any tips? Hmm, interesting. I don't really know how to package up my applications for release, so I'm sure there is something I could do on my end to remedy this. However, I believe if you install the Visual C++ Redistributable for Visual Studio 2015 from Microsoft it should solve those dll issues. Hope that helps! Oddly enough, I used to have Visual Studio 17 installed on this machine. What did you use to create your game? Huh, strange. I used Visual Studio 2015. Oh gotcha, I used SFML. With Code Blocks, there is a clear option to link statically. Maybe you got this as well? Ok so I ended up compiling the game in command-line using MinGW. 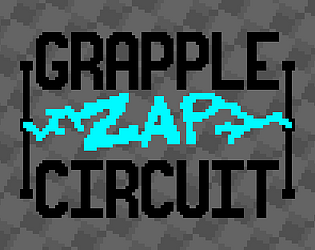 I uploaded the result as GrappleZapCircuit (Alt), let me know if that works for you! I loved it! I've seen this top down racing game at an arcade by my house, however, they use a steering wheel which makes it impossible to play. I played with my Xbox controller and it was great! I got a hang of the controls pretty quickly and was making it around without hitting anything. I would love to see this idea expanded upon and updated! Glad you enjoyed it! I have a list of things I want to implement, so I'm definitely going to work on it more before I move on to other projects. This game looks awesome! However, I couldn't seem to get my wired XBox One controller to connect, but was able to play just fine with the keyboard. Very nice game! The gameplay is nice, if not a little bit slidey, the visuals are minimalist and reminiscent of old arcade games (in the best way possible), and the music is wonderful. All in all really good job on this game. I haven't tested the game with XBox One controllers (I'm using wired 360 controllers), but did you try connecting the controller before launching the game? I haven't worked out all the bugs with connecting/disconnecting controllers during runtime yet, so maybe that was the issue? I'm glad you managed to make do with the current keyboard controls though! Regarding the slidey handling, I originally did that to encourage the use of the grapple to take turns efficiently, but I may have overdone it a little bit. I'll play around and tweak the numbers. Also, I'm glad you liked the audio and visuals, that's always the part I struggle with most. Thanks for the feedback! Great drifting idea, music and overall polish! Coincidentally, I had a similar grappling hook idea in my game as well but for towing. Did you use Box2D physics for the grapple or program it in? I found with Box2D that the rope stretches. I've found with a few games now that when I go check them through the game jam that I miss out on explanations from the game page such as "Controllers are necessary to play effectively." Tried the keyboard controls first before using a controller (way better). Also, I'll admit that at first I thought there was only one level: Rockfall Canyon! I thought about using Box2D, but I ended up designing my own calculations for the grappling cord for the exact reason you mentioned. If you're curious how I did it, I'm going to make the game open source after a few more revisions, so hold tight! On the topic of the controls, you're totally right, I designed the keyboard controls horribly (as it currently stands, you can't even aim diagonally). I'm happy with the way the controller turned out, but I would like a keyboard controls to feel just as nice. 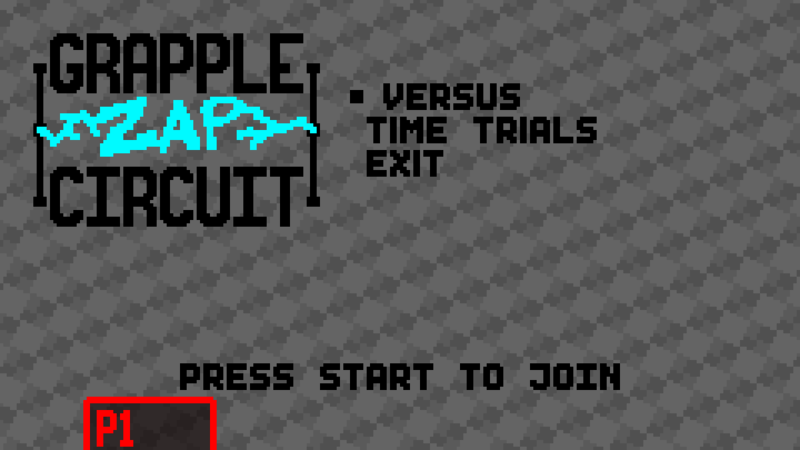 I'm thinking I'll make WASD the movement control, and then I'll use the mouse to aim and fire the grapple. The level select needs a lot of revision too. I would like to get the font that is used everywhere else in the menu into a proper bitmap font, so that I can keep the font consistent throughout. I also would much rather make it a grid of little icons, so I'll play around with it in the next few weeks. I 100% agree. I worked on a basic AI but couldn't get it done in time! Not only that, but time trials doesn't even save your best time for each track. Because of these factors, playing alone is really boring right now (I know from all the playtesting), so these are features I really want to implement. Thanks for the feedback! A little opponent would be SO much fun to race against!! Nice. It's a little confusing at first but after you figure out what the Cursor Keys and WASD do it gets easier. Thanks! Yeah, a brief controls page and a tutorial/test area would really help the game. I intend on making one!